If you’ve seen an episode of “Weeds”, “The Wire”, or even “Breaking Bad”, you may already have an image in your head of what American drug dealers looks like. While determining how much the illicit narcotics industry in America is worth may be difficult, experts estimate that global drug trafficking today generates half a trillion dollars in revenue every year. With more than enough money to go around, the real face of American drug dealers (and drug users) in the U.S. might surprise you. 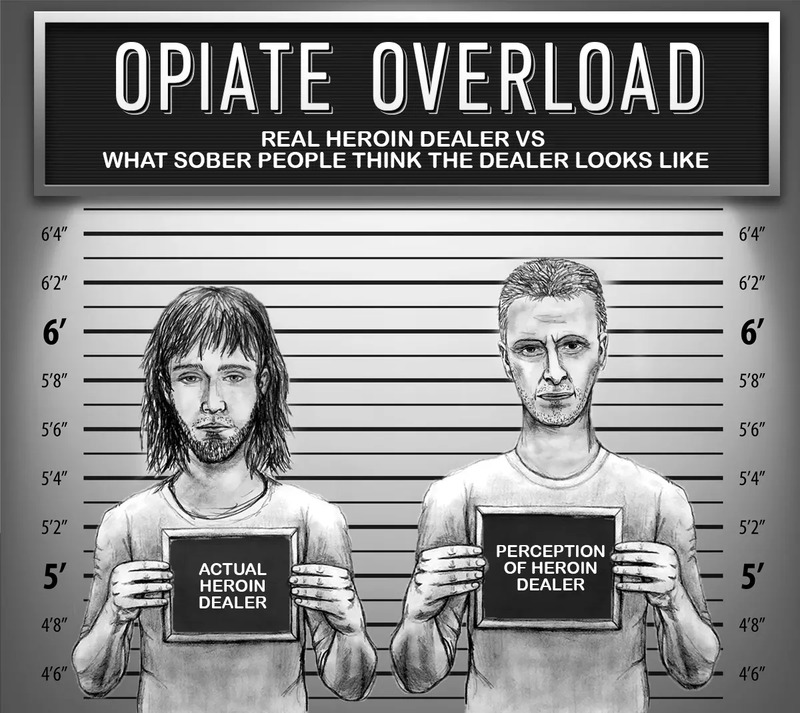 To learn more, we asked more than 1000 sober Americans to paint a picture for us of the American drug dealer. From height to hair and even skin color, we found out what most people think of when meth, heroin, marijuana, cocaine, and hallucinogenic dealers come to mind. We compared their responses to the views of more than 1000 anonymous drug users across the country to find out how well the average perception (and occasional stereotypes) really stacks up. After hearing what they each had to say, we rendered the average responses for you to see in the images below. Curious what American drug dealers really look like? Read on to learn more. In 2016, more than 15,000 people died as a result of heroin misuse and drug addiction. Despite the dangerous consequences associated with one of the most addictive substances available, the average heroin user may not meet your expectations of a “junkie”. Studies have shown in many cases a heroin addict can have a successful career, seemingly happy home life, and even be surrounded by loving friends and family. The description of a person who might be dealing heroin didn’t fully align with assumptions many Americans told us they had either. Estimated at roughly 6’3”, with a fair complexion and light hair, the real deal didn’t live up to the forecast determined by our panel of sober Americans. According to people buying (and potentially misusing) heroin, their dealers were typically shorter than projected, with longer, darker hair. While they typically had a fair complexion (as guessed) they also had more facial hair and a more pointed jawline. When “Breaking Bad” premiered in 2008, it was praised for its seemingly accurate portrayal of both the gruesome reality of the drug trade and the devastating effects methamphetamines can have on a person’s life. In 2014, the show also came under fire for potentially making people more curious about meth and contributing to a rise in drug usage worldwide. 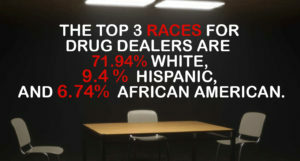 The show may have ended in 2013, but the images it depicted of both drug use and trade may be lingering in most American’s minds as the real-life face of the meth in America. When asked what they thought a meth dealer might look like, the average sober respondent told us they expected a person with an exceptionally fair complexion, slight stubble around the jawline and clean cut hair or a bald head. For those unfamiliar with the show, the average American probably thinks meth dealers across the country actually look like Walter White which is the primary character from “Breaking Bad”. In reality, most people dealing methamphetamines have a more youthful appearance with a fashionable hairstyle, slightly tan skin tone, and more unshaven appearance around the jawline than assumed. There may be no shortage of drug-inspired TV shows and movies available today, and accurate or not, the stories they weave could be leaving a deeper than a fictional impression on their audience. Hallucinogens have a reputation for being the “party drug” of choice, but the reality is drugs like ecstasy or MDMA are becoming stronger and more dangerous as their popularity continues to rise. While users may have been more concerned with the purity (and more importantly, unknown additives) of ecstasy in years past, today, ecstasy pills are roughly five times as potent as they were in 2009. Considering a majority of the millions of Americans attending music festivals are purchasing hallucinogenic drugs from a dealer they’ve never met before, we asked people without first-hand experience what they expected that transaction to look like. Many estimated drug dealers in this line of work might have matted or braided hair, a deep tan complexion, and stand fairly tall at an average of roughly 6’3”, though we learned the reality was far from the perception. Real ecstasy peddlers were more likely to have very light or blonde hair, be slightly shorter at roughly 6’1”, and have a fuller beard in comparison to the stubble most Americans expected. marijuana use after a popular vote moved to decriminalize the substance. A handful of other states have followed suit, and the general attitude towards pot in America seems to be shifting towards a positive one. Despite these changes, research still indicates there may be negative short and long-term consequences linked with regular marijuana use including decreased cognitive capacity, memory loss, and even mental health concerns like depression and anxiety. With pot being legal in various capacities in 29 states and Washington D.C., how do most sober Americans envision the sale of one of the most mainstream narcotics? According to our panel of non-drug users, the average perception was of a person with a darker complexion, possible tattoos on the face, and an unshaven appearance. In reality, an actual weed dealer was more likely to be of a more fair skin tone, clean shaven, and with short brown hair. Despite being one of the most readily accessible drugs in the country, most of the people we polled had the wrong impression of what someone trafficking marijuana really looked like. ereotype of the Latin drug dealer when they gave us their impression of who might be slinging the substance in cities across the country. Most commonly described as a bespectacled caucasian with a fair complexion and slicked back blonde hair, real cocaine traffickers had a completely different image than what many Americans told us they expected. With a slightly shorter build and a buzzed cut hairstyle, actual cocaine dealers were more tan in complexion than anticipated with freckles and a thinner waistline. While a majority of sober Americans might not be able to accurately identify a drug dealer on the streets, their attempts at describing them taught us two things: pop culture might be having a bigger impact on the perception of American drug dealers than we’d like to think, and the stereotypes you hear aren’t always accurate. Just like drug use or drug addiction, there are many faces to substance abuse in America and even if you think you know what a dealer might look like, that doesn’t mean they can’t surprise you. 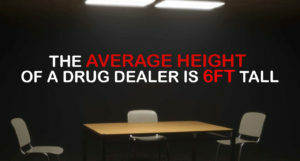 Also, you never know if someone you know needs a drug rehab or is in drug recovery, so never judge a book by its cover. Consider a detox treatment center in Florida, or perhaps in house rehabilitation or a men’s sober house if you’re looking for help. At FHE Health, a premier South Florida drug rehab facility, we know the treatment for drug use should be just as unique as the patient. By treating the whole person – mind, body, and spirit – our customized approach to care will be your guide on the road to recovery and rehabilitation. From medically supervised drug detox to inpatient and outpatient care options, FHE Health, a premier rehab facility, will be with you every step of the way to help you find sobriety and well-being. The road to recovery starts here. To learn more, visit us online at FHERehab.com or call 1-866-580-4845 now. We surveyed 1,024 people. Our respondents chose to participate in the survey and this survey was open for all demographics to take.